(L to R) William Barron, William Sitarik and Dominick Racioppi. 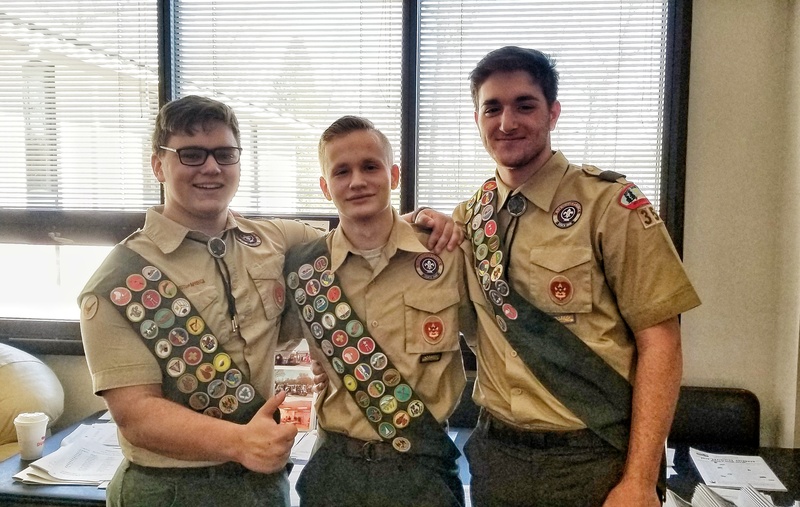 An Eagle Scout Court of Honor was conducted on March 23 in Whiting for three Manchester Township scouts. Mayor Ken Palmer, Councilwoman Joan Brush, dignitaries, family and friends were present to pay tribute to Billy Barron, William Sitarik and Dominick Racioppi. Each of the scouts completed community service projects and all requirements to earn their Eagle Scout awards.